Three-peat-seeking Jan Paul Morales of Navy-Standard Insurance bared his true form to top the 135.2-kilometer Tuguegarao-Isabela Stage 4 even as Ronald Oranza stayed in control on Tuesday in Ronda Pilipinas 2018. 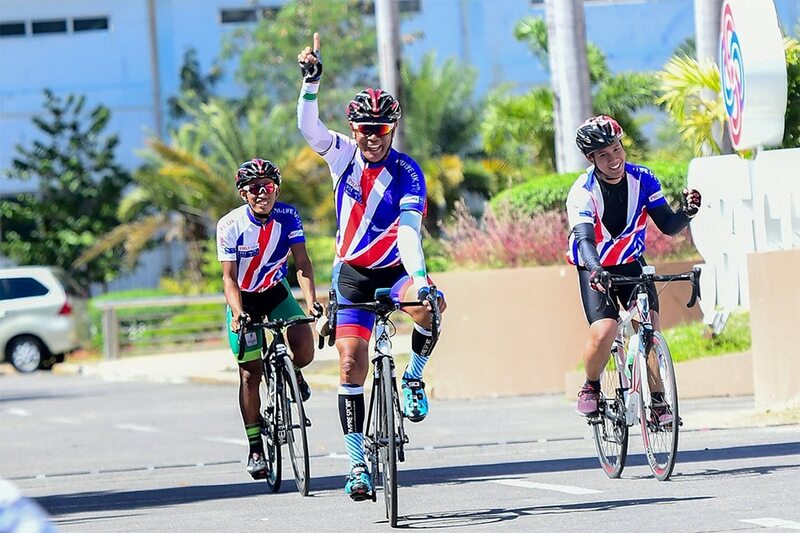 Morales, 32, bested George Oconer of Go for Gold, Ronnel Hualda of Go for Gold Developmental team and 10 more riders that also included Oranza in a mad rush to the finish to claim the lap victory in 3 hours and 7.42 minutes. It was Morales’ second podium finish after finishing second in the Vigan Stage 1 criterium Saturday. Morales also took the overall lead on that day after ruling the two intermediate sprint races. However, he gave it up after the Vigan-Pagudpud Stage 2 the next day. But following his performance on Tuesday, Morales jumped from No. 3 to No. 2 with an aggregate time of 13:38:22, or 5 minutes and 1 second behind Oranza, who continues to lead with 13:33:21. Morales, however, stressed he doesn’t mind if he didn’t win it this year. “Of course, a third title would be nice but I will not mind if Oranza or someone from my team wins it as long as he will be from Navy,” said Morales in Filipino. Oranza said he will do his best to keep the lead in this race. “I will do my best to keep the red jersey,” he said. After Stage 4, Navy’s 10-minute lead in the team race is now 17 minutes as it now has a total clocking of 54:26:06, ahead of Go for Gold Developmental team (54:44:01) and Army-Bicycology (54:55:26). The race takes a much-needed break on Wednesday and will resume Thursday with the 179.4-km Stage 5 unfolding at the Echague Municipal Hall and ending at the San Jose City Hall in Nueva Ecija.